We scan 8 x 10 glossy photos using an Epson Perfection 4870 Photo scanner at 1200 dpi resolution. 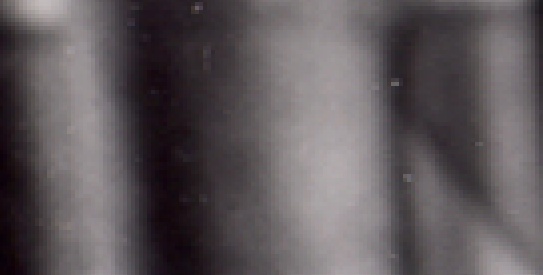 The scan settings for brightness and contrast are also matched as closely as possible to the original photo. Then we remove the hundreds of background scratches, "pops" and "clicks," and other imperfections that reside in the original photo. Under magnification, we use Adobe Photoshop's Spot Healing Brush tool to remove these blemishes and blend their pixels with the surrounding areas. See the before and after pictures of a small section of a Rudolph Valentino photo below. This process is very time consuming (1 to 6 hours per photo), but the results are definitely worth it!